This contemporary design can compliment any conservatory or living area. With its high back and flat cane arm technology, this range provides both comfort and modern design. The coffee table, side table, footstool and entertainment unit complete the range providing useful functionality and storage for any room. 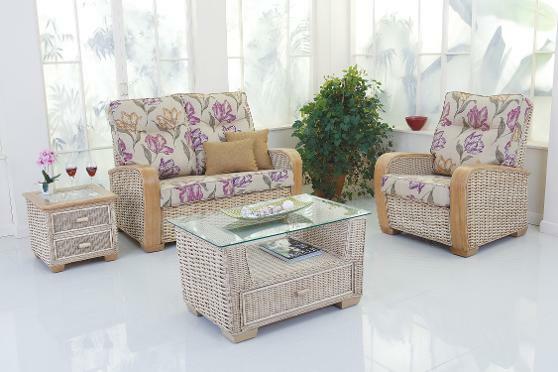 Available in Light Natural Wash cane and with a choice of over 40 different fabrics this range of furniture is suited to both living and conservatory areas of the home. Shown in Light Natural Wash finish with Tewksbury and Gold fabrics.